On arrival at Goa airport, receive warm greetings from our representative. Transfer to hotel for check in. Dinner and overnight stay at hotel. Goa is a perfect destination for celebrating your honeymoon. The exotic monsoon magic of Goa together with peerless beauty of surroundings, make honeymoon for the newly-weds as well as couple in love a memorable one. Since a long period, Goa has been the hot and happening honeymoon spot for the couples. Some of the must see attractions that we suggest you to visit are beaches including Candolim Beach, Calangute Beach, Palolem Beach, Baga Beach and many more. Tourists can also enjoy the beach expedition, sunbathing, leisure stroll, sunset watching and so on. 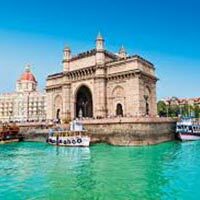 In addition to beaches, there are also many attractive things in Goa which will certainly give your honeymoon a touch of sensuous feelings. Watch the scenic wonders, flora and fauna in verdant forest, hills, and many impressive monuments like forts and palaces, temples and churches and colonial homes. Keep your morning for leisurely activity. In the afternoon the tourists will move to airport to catch a flight to Mumbai. On arrival in Mumbai, check into hotel. After some refreshments at the hotel, set out for sightseeing tour of this commercial hub of India. 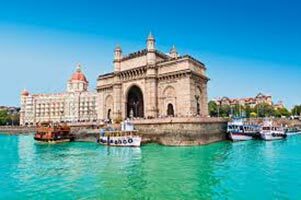 Some of the places you like to visit in Mumbai are Mani Bhawan, Gateway of India, Marine Drive, Hanging gardens, Chowpatty Beach and Kamala Nehru Garden. Morning for taking full day rest. In the evening transfer to international airport to catch a flight back to home.